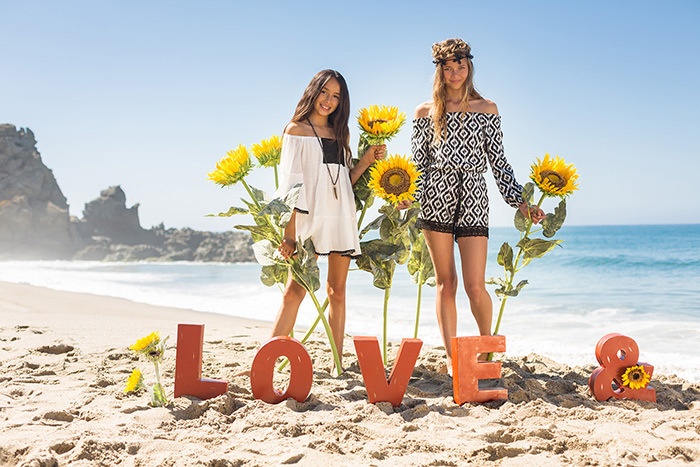 Love & Sunflowers was created for the lil fashionista. They believe in positive messages, love, and plenty of sunshine. Sycamore Beach in Malibu. Sunflowers !